The main responsibility of this position is to answer telephones and provide a welcoming atmosphere to all visitors to the community; respond to residents' requests; coordinate services to residents; and provide any necessary assistance to residents, families and guests. Responds to residents' requests promptly and politely. Assists staff in providing and coordinating services to residents, families and guests, including Brandywine signature programs. Assist Business Office Manager with assigned tasks, recordkeeping, appointments, etc. Receives and sends packages of staff and residents. Answers incoming calls, forwards and takes accurate messages as appropriate. Monitors entry area for visitors and guests, greets and directs as necessary. Maintains sign-in and out books of residents and guests and care providers. Sorts and distributes mail to individual mailboxes. Handles appointments for residents and family members (Hair dresser, transportation, etc.). Education/Training: High School diploma required. Knowledge of various computer software desired. Experience: Must possess excellent customer service, organizational, and problem solving skills. One to three years experience in customer service position preferred. Moves intermittently during working hours and subject to frequent interruptions. May be subject to hostile and emotionally upset residents, family members, personnel and visitors and must be able to cope with the mental and emotional stress of the position. Must function independently, have flexibility, personal integrity and ability to work effectively with residents, personnel and support agencies.Position requires proficient interpersonal and communication skills; excellent reading, writing and grammar skills; auditory and visual skills; ability to bend, stoop, sit, stand, lift, reach, and push or pull a minimum of 50 pounds. 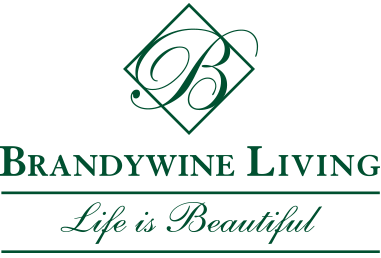 Brandywine Living at Seaside Pointe is scenically situated in the popular vacation resort town of Rehoboth Beach, Delaware, and conveniently located just off of Route 1. Seaside Pointe is just minutes from the area's famous boardwalk, beautiful beaches, and Wildlife parks. Residents take advantage of all the outdoor adventures the local community has to offer.